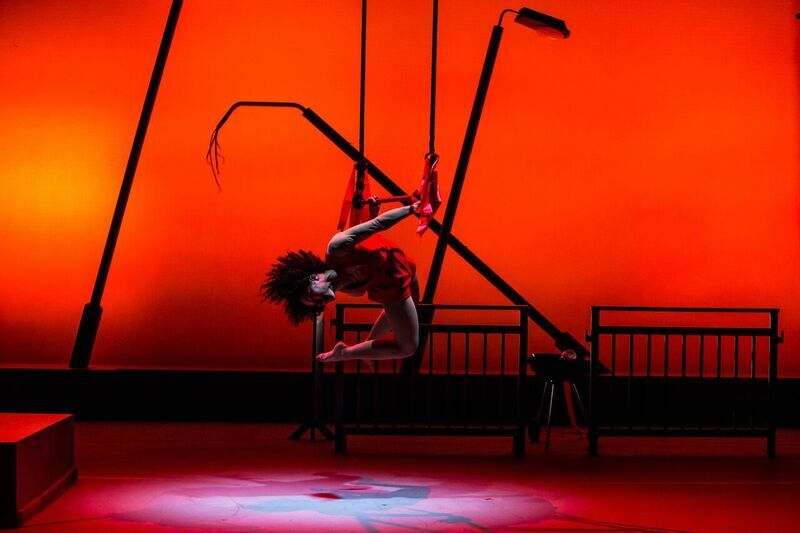 You might think you know the story of Jungle Book inside out, but I guarantee you that you won’t have seen anything at all like the version which is currently on at Bristol Old Vic. Metta Theatre have taken this classic tale by Rudyard Kipling and dragged in squarely into the present day with its spectacular interpretation which features street dance and some quite breath-taking circus skills, cleverly woven into an up to date retelling of the classic story. Mowgli from the original story is lost in the jungle and is taken in and raised by wolves. In this tale Mowgli is no man-cub, in fact in this retelling, Mowgli is a female character who is finding her way in the urban jungle. Taken in by Baloo the beat-loving bin man bear and ‘adopted’ by the skateboarding Wolf Crew, they decide to raise her as one of their own and verse her in the laws of the street. She is taught the ‘masterwords’ of the different animal tribes so that she can communicate with any group within the urban jungle. Danger is ever present for our heroine though, as Shere Khan ‘the tiger’ wanted to claim her for his own. When he discovered Mowgli was taken in by the Wolves, he vows to one day kill her. I took my eight year old daughter with me to see the show, and she was mesmerised by it. Her favourite character in the show was Kaa played by Nathalie Alison, and she remarked how strong and gravity defying she was. She was also very drawn to Shere Khan played by Kaner Scott, but this was mostly a shocked fascination at the incredible positions he managed to get his arms into that looked like he must have been dislocating his shoulders! I thought that casting Mowgli as a female character was a masterstroke; she had a vulnerability yet overall strength of character that made her a great role model for the young girls in the audience, of which there were plenty. Mowgli stood up to adversity and those that wanted to take her down, finding her voice and her place by the end of the story. It was also great to see boys in the audience too for a predominantly dance based show; street dance is a fantastic art form which seems to have made it ‘cool’ for boys to dance, so there were plenty of great role models for them too. The show was lively, energetic, beautifully choreographed by Kendra J Horsburgh and a great night out for both me and my girl. I’ll admit it; I have seen a few shows which are theatre and circus skills fusions and they have never quite done it for me. 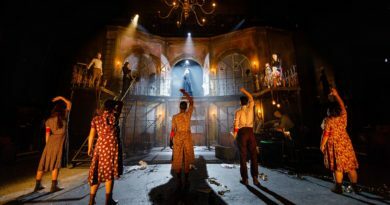 A flimsy or nonsensical storyline appeared levered in to give the performance a reason to take place in a theatre made other shows I’ve seen a little clunky, even if the skills of the ‘actors’ could not be faulted. However, with Jungle Book, the cast, Director Poppy Burton-Morgan and the rest of the company have created a piece which holds its own on the Bristol Old Vic stage. 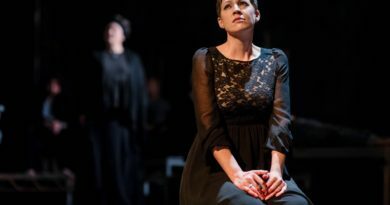 It is engaging and has enough of the familiar story present to create a coherent narrative and excellent theatrical show. The set design was minimal yet striking, the music was perfect for the urban setting and this all meshed to make a fantastic piece of theatre Jungle Book is on until Saturday 29th July and is a great show to take the kids aged 8+ to, and will undoubtedly leave you on a high like it did for us. Highly recommended.